At Chem-Dry of Northern Nevada, we understand that homes aren’t the only places that need to be cleaned. Offices, lobbies, and other business spaces need to maintain a professional environment and reputation. One of the most important parts of that is cleanliness. That’s why we offer extensive commercial carpet cleaning services in Reno, NV and surrounding areas. You take great pride in your business, so we take great pride in cleaning it. We know that every business has different setups and different needs. A busy lobby may need frequent furniture and upholstery cleaning. A small office may only need occasional carpet cleaning. Regardless, we’ll work with you to come up with a cleaning plan that meets all of your needs and fits into your budget. 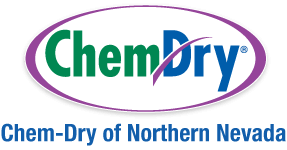 For more than 40 years, Chem-Dry® has maintained a passionate research and development program. Because of our extensive research, we are experts in all carpet types of fibers and textiles in the commercial environment. And we know the best way to treat each one. Your upholstery, carpets, and tile are in the best hands possible when you go with Chem-Dry of Northern Nevada as your commercial carpet cleaners. We also know that you want the absolute best for your business. For this reason, we use state-of-the-art equipment designed to use the lowest possible amount of moisture. Because of that, our dry times average one to two hours. As a result, your business can continue running with little or no disruption after a cleaning. We provide the cleanest clean, the driest dry and the healthiest process with the most advanced carpet and upholstery cleaning methods available. 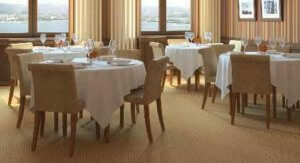 There is no better choice for your commercial carpets, rugs, fabrics, and leather. Whether your facility requires spot cleaning, complete carpet cleaning or fabric or leather care, Chem-Dry is the answer. Our revolutionary technologies remove more soil, spots, and stains than other commercial cleaning services. First of all, we analyze your facility and customize a program that makes your carpeting, rugs, upholstery, and leather look cleaner, last longer and stay healthier. Then, our professionals will deliver these services at the convenience of your work schedule. We can plan a cleaning schedule that best meets your needs in order to ensure that your business is always clean. We’ll work with you directly to meet your needs and make you and your visitors happy!